Platinum Guild International (PGI) has published the Q2 edition of the Platinum Jewellery Business Review (PJBR). The report provides an in-depth market update of platinum jewellery's performance in the second quarter across the biggest consumer markets China, India, Japan and the US. 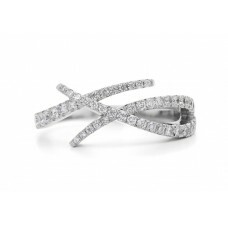 “As the second biggest use of platinum, the jewellery market is critical to the future success of the platinum industry. The Platinum Jewellery Business Review Q2 Report provides a full market update with a look at the effectiveness of marketing strategies implemented to drive future growth opportunities,” says PGI CEO Huw Daniel.